An innovative course aimed at providing teaching qualifications to help meet a skills shortage across North Wales is to be launched in St Asaph. The course is aimed at the post-compulsory sector, which covers students in further education, sixth form and tertiary colleges, adult education and work-based learning. 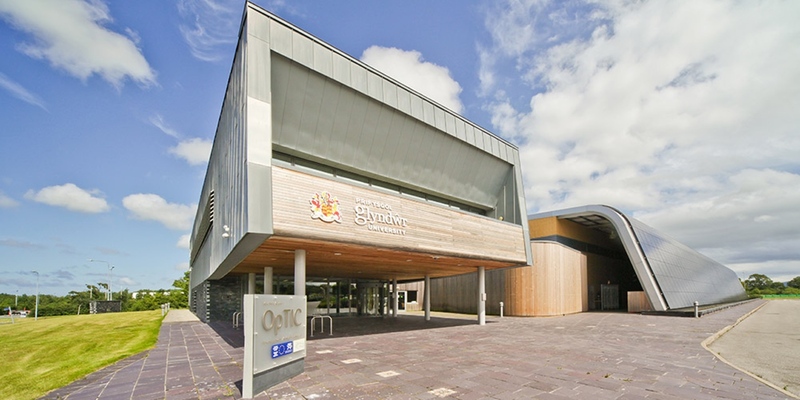 It will be run by Wrexham Glyndŵr University at their St Asaph OpTIC Technology centre and campus, and an Open Evening is to be held later this month for people wondering if a teaching qualification can help them in their career. Senior Lecturer in Post-Compulsory Education and Training at Glyndŵr, Sue Horder, said: “This course isn’t just aimed at those who want to teach in further education, sixth form or tertiary colleges – though they are of course very welcome. “It can also provide people who work in a diverse range of roles and organisations with a nationally-recognised qualification. She continued: “Getting that qualification means people can help put their skills to good use – and help boost the training profile of their organisation at the same time. “There’s already been interest from a number of public sector employers, such as local authorities, emergency services, and more, in these qualifications. “My message to those thinking about passing on their skills is simple -if you have a degree or a vocational qualification at level 3, such as A levels or an NVQ level three, then this course might be for you. The Open Evening will be held on Monday, June 18 between 5pm and 7pm at the OpTIC Technology Centre, St Asaph Business Park. To book your place, visit the Wrexham Glyndŵr University website.